hi all the chip and hardware news has been very active lately. years ago tracked AI/ big data as separate categories and these two areas are merging. AI + hardware design is merging these days also. this is typified/ exemplified by googles new announcement of TPU (tensorflow processor) chips that they have designed themselves. [a] google is intending to scale up this architecture for open use. its an impressive initiative in its early stages and highly crosspollinates with its other big moves into AI such as with Deepmind. This entry was posted in Uncategorized on May 19, 2017 by vznvzn. hi all, a brief interlude/ meditation on shopping and the online/ cyber angle. “ecommerce” was known to be a potentially revolutionary possibility around the dotcom era and we are now in the full swing of it, but ofc shopping nirvana has not arrived. there is some dark side to the cyber cornucopia. how many people can attest to this with compromised credit cards? and how about the joy of trying to track dozens of different online user ids/ passwords? it looks like cybersecurity is worse than ever and that elegant solutions are not in sight. and browsers storing passwords/ addresses/ credit cards do not seem like any solution. and who cringes at diverse sites storing their credit cards? heres a hopefully illuminating case study(s) that recently went thru myself. This entry was posted in Uncategorized on October 12, 2016 by vznvzn. hi all, hoo, @#%& this sure took a lot of work, nearly a day. it was murphys law all over again so to speak. wanted to do some multiple regression in ruby. simple right? This entry was posted in Uncategorized on July 28, 2016 by vznvzn. was struggling to try to come up with a unifying theme for this post and then thought about this angle. really enjoy the aesthetics of an area/ niche that might be called “tech art”. this is technology mixed with art/ entertainment. its crosscutting across different art forms. This entry was posted in Uncategorized on July 6, 2016 by vznvzn. 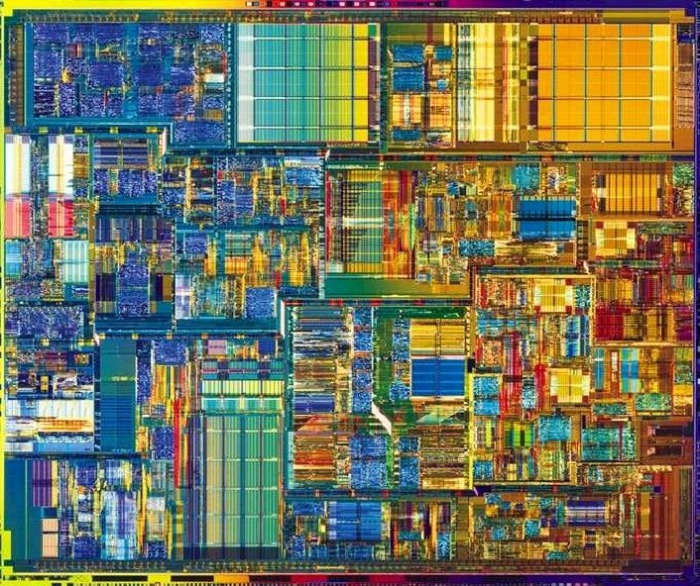 hi all intel recently merged with Altera who are top makers of reconfigurable FPGAs. it has taken years for FPGAs to be integrated into big systems but we are starting to see better understanding of where they apply strengths. the idea is that custom algorithms can be implemented in the FPGAs at less cost/ power consumption and possibly higher efficiency. google/ microsoft seem to be pursuing initiatives in the area. microsoft has figured out how to couple Bing processing with them (faster! cheaper!). [d13] for a time Bitcoin mining was done on FGPAs but that has given way to custom ASICs. my prediction is that FPGA coding will continue to increase in use/ attn esp in “big data” type scenarios. this gives me an excuse to unleash a batch of links that have been piling up in my bookmarks for years on CPU related topics but was waiting for a neat moment of timing. this is an exciting area but it has stabilized somewhat over the last few years due to moores law plateauing. this is not a widespread understanding, and big multibilliondollar companies that are built on it like Intel dont really want to exactly “announce” it. this flatlining is having major effects on the industry however. recently saw some analysis that the use of GPUs in deep learning may be up partly due to the plateauing of moores law. is there a scientific paper as important as Moores paper in announcing this plateauing? havent found one yet but please let me know if you do. also, moores paper this year celebrates its 50 year anniversary… really cant beat a paper with the word “cram” in the title! [b15] it constitutes one of the most impressive engineering predictions/ observations/ phenomena in all of scientific history. This entry was posted in Uncategorized on June 26, 2015 by vznvzn.